The Naniwa Rust Eraser is a must-have accessory if you use carbon steel knives or tools. As we all know, steel is prone to rusting. And no one wants rust on their blades. Fortunately, removing rust is easy with the Rust Eraser from Naniwa. 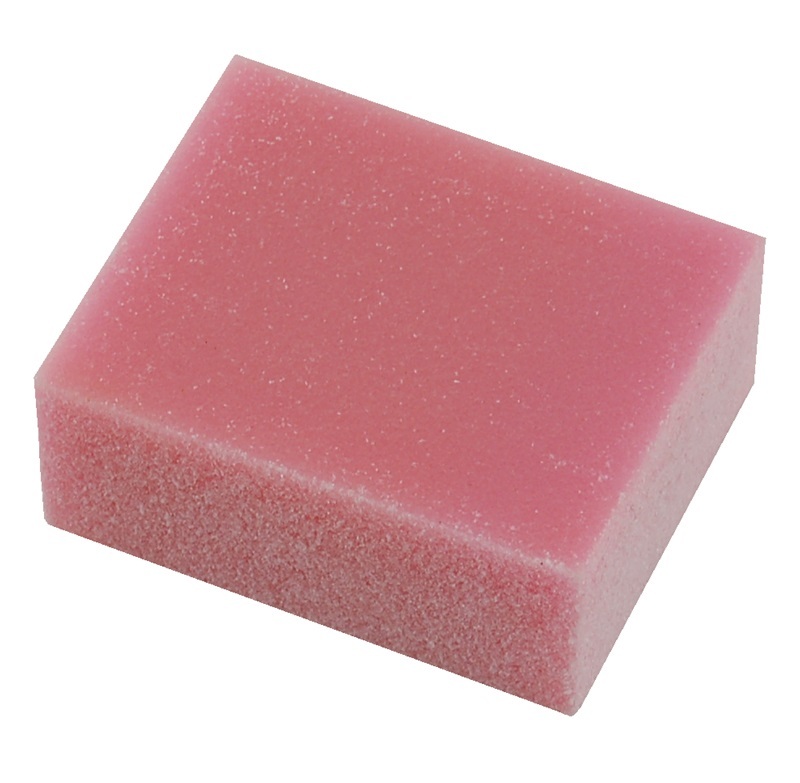 The Rust Eraser is a soft and flexible block, 50mm x 40mm x 20mm (2" x 1-1/2" x 3/4") in size. Similar in consistency to a pencil eraser, the alumina abrasive is distributed throughout the entire thickness of the block, so fresh grit is exposed as it wears. The fine grit abrades quickly through rust. It can be used dry or with a little water or oil.